UCF has worked to develop a 3-D-printed heart since summer 2015, in order to comfort patients and loved ones before open-heart surgery. Dr. Dinender Singla describes himself as innovator who is always looking for a new challenge. A professor of medicine at UCF's Burnett School of Biomedical Science, Singla got the idea of 3-D printing from an open discussion with his undergrad stem cell class. “I asked if stem cell biology was becoming old-fashioned and if we need to move into a new innovative way to explore those old stem cells…then I said, 'Why don’t we think about 3-D printing,'” said Singla, who teaches Molecular Biotechnology and Stem Cell Biology. Singla has worked with undergraduate students Kaley Garner, Jessica Hellein and Colin Miller to develop a 3-D-printed heart since summer 2015, when Singla discovered the need to comfort patients and loved ones before open-heart surgery. With the model, patients will be able to see where the surgeon needs to open the heart, how long the heart can be exposed and how the procedure works, all before surgery begins. The model heart was created using 3-D printing, a process that feeds plastic filament into a tube, Garner explained. Then a computer pulls out an image, extracts the data from that image and converts that data into a 3-D model, which gets exported to an STL model. From there, the STL model gets fed into a firmware printer and the firmware printer dissects it and turns it into a 3-D plastic model. “We are affiliated with them on this model and a few other research projects," Pourmoghadam said. 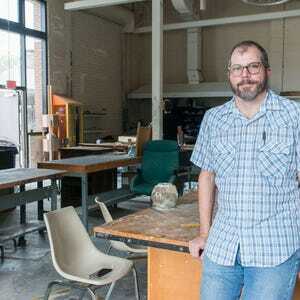 "It’s been our goal to see if he can create a 3-D model so we can utilize it. We look at is as a stepping-stone in the field on imaging. 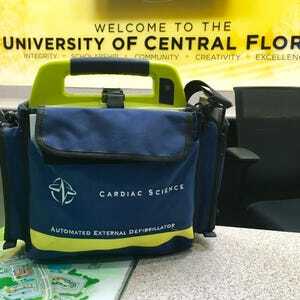 "The UCF team continues to work with Arnold Palmer Hospital for Children to further develop the model, specifically Dr. William DeCampli, who is currently a pediatric cardiac surgeon at the hospital and a faculty member at the UCF College of Medicine, and Dr. Kamal Pourmoghadam, a pediatric cardiac surgeon at Arnold Palmer. In addition to the lives of patients in Central Florida, the project has also impacted the students who have helped bring it about. Regarding the model's own future, Singla foresees the model becoming a long-term project. The company Singla and his students bought their 3-D printing machine from plans on helping the team find investors for the project. Singla and his students hope to explore different fields of 3-D printing, including 3-D bioprinting, a process that combines stem cells and 3-D printing to create artificial organs, a field Singla has been researching for the last 15 years. 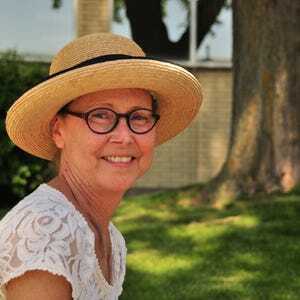 “I’m constantly in this state of building my knowledge base and making me more aware of different things that I wasn’t aware of before,” Hellein said. Samantha Bequer is a Senior Staff Writer for the Central Florida Future.